Imagine your event headlined by Michael Woods. How much buzz would booking Michael Woods bring to your event? GTB helps customers Book VIP Shows, Corporate Events, & Private Engagements with top talent for hire. GTB represents clients as they book talent like Michael Woods for their event. Click to start The Event Booking Process with Michael Woods. 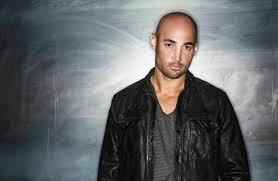 Michael Anthony Woods is a DJ, music producer, and remixer of various EDM genres. He has operated under many different aliases including Warrior, Out Of Office, M1, M3, and Accadia. He specializes in the in the genres of house, Electro house, Progressive house, Trance, and Progressive trance. He is also the founder and manager of a record label called Diffused Music, which he created in 2010. He has worked with and is supported by very many well respected acts in the EDM world, such as Deadmau5, Lady Gaga, Chris Lake, Funkagenda, Example, Kaskade, and very many more. He performs in front of enormous crowds entertaining them with his work on the keyboard, synthesizer, and mixer, while playing at some of the most well-known venues and EDM festival on the planet. Woods first made a splash in the EDM world in the year 2000 when he released his debut single “Warrior” under the alias “Warrior”. The track had very much success as it quickly began plowing through the charts. It reached #19 in the UK Top 40, while topping the charts at #1 on the UK Club Chart. Later that year he also released a single called “Voodoo”’ which was also able to crack its way into the Top 40. He started to appeal to a wider demographic in 2003 when he began featuring vocal guest appearances and collaborating with other artists. Within the year he released “If U Want Me” featuring Australian model Imogen Bailey, and “Solex (Close to the Edge)” with Juliette Jaimes. Both tracks made some noise on the charts as Woods began to build a wide base of fans and followers. Woods has worked on multiple occasions with his sister Marcella Woods, known for her work as a very talented vocalist. They have worked together on Michael’s Out Of Office project, and have released 2 singles. In 2011 Woods produced a track entitled “Changed the Way You Kiss Me” on which he collaborated with rapper/singer Example. The track reached #1 on the UK singles chart, and may have been the catalyst that catapulted Woods’ career to the next level. Click for Michael Woods Event Booking. Start booking Michael Woods now! GTB is a celebrity talent booking agency for paid events. We do not handle media requests, or interviews. GTB will not relay messages to Michael Woods or solicit donations on your behalf. While celebrities do donate their time, they will always charge some kind of fee to do any event, project, venue or celebrity appearance. Booking Michael Woods Not Quite Right? We have the entertainer for your Event! Putting together a memorable event isn't easy. Booking Michael Woods certainly raises the profile of your show or event. GTB is ready to help you make the event flawless, so your attendees remember Michael Woods instead of a mix-up. Private Parties, Concerts, Ceremonies, and any other big events require both planning and personnel; Global Talent Booking can help you every step of the way, from booking to advertising a public Michael Woods event. Should you prefer a private Michael Woods showing, Global Talent Booking has the tools, connections, and expertise to help you manage a velvet roped evening, elegantly! Global Talent Booking has worked with exemplary talent for over 15 years. Booking Michael Woods and other world class entertainers is our expertise. From private concerts featuring some of the most famous names in the music industry to corporate events DJed by the best in the industry, we excel at showcasing your image. GTB is ready to help you book your favorite musicians, djs, and celebrity talent; creating memorable entertainment experiences is what we do everyday. Global Talent Booking Agency services help you with event talent booking. Our services include talent scheduling, contract negotiations, marketing/promotions, agent and/or agency interaction, and so much more. We can help you book Michael Woods, advertise a public event or help you manage the guest list. Our event booking services can even include the press work after your Michael Woods event. Global Talent Booking is here to help you mind the details so your event with Michael Woods is `World Class` the first time, each time, and every time. Our entertainment agency will work with you to put the right talent in the right situation world wide. Global Talent Booking is an International talent booking agency. If you are interested in an international Michael Woods event booking, click here to get started. We know what it takes to organize events that exceed everyone's expectations, no matter where they are in the world. We look forward to helping book your`s. Click to Start Booking Michael Woods. Celebrity Talent, like booking Michael Woods, makes all the difference. Contact our Expert Michael Woods Booking Agents. We are ready to help you start coordinating your Michael Woods event immediately.